The Atlanta Poker Club is made up of a team of passionate and talented people who love the game of poker and truly love the Atlanta Poker Club. Thank you to all the hard working staff members who make the APC the best poker league in the state! If you are interested in working for the Atlanta Poker Club please contact us. Keep in mind the majority of APC Tournament Directors come directly from APC player base. If you are interested in becoming a tournament director, your best first step is to become a volunteer dealer. Decide on a venue to play poker at then talk to the TD on duty and let them know you are interested in dealing. Attend several events and continue to deal. As you become more proficient and are able to handle all aspects of the dealing process, you can begin substitute TD’ing. This could soon lead to a part-time or full-time opportunity as a Tournament Director. If you’re inexperienced or would like more practice, we offer live training sessions and an online dealer school with videos, commentary and direction from professional poker dealers. If you’re an APC member, ask your TD how to get a free copy of Dealer Training. 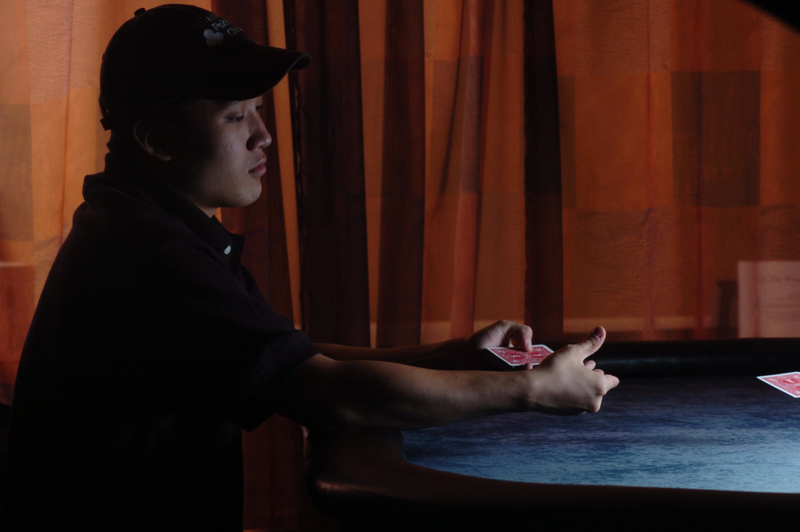 Learn to Deal Poker with the Atlanta Poker Club, then become a Tournament Director.